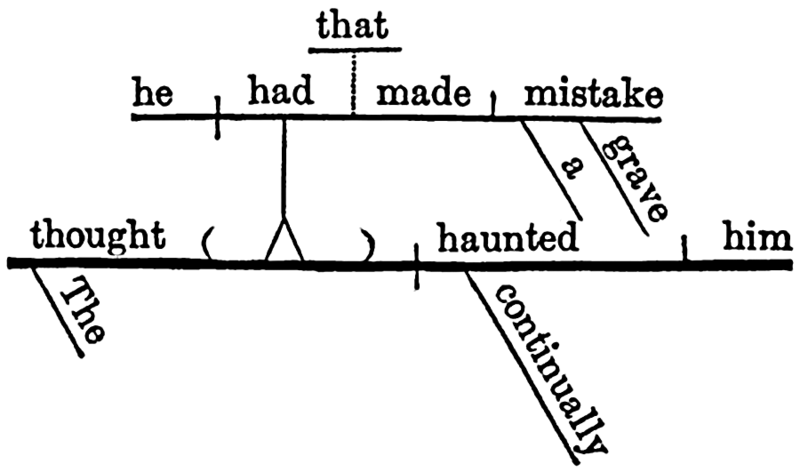 Here's how to describe yourself by making a sentence diagram come out of your head. 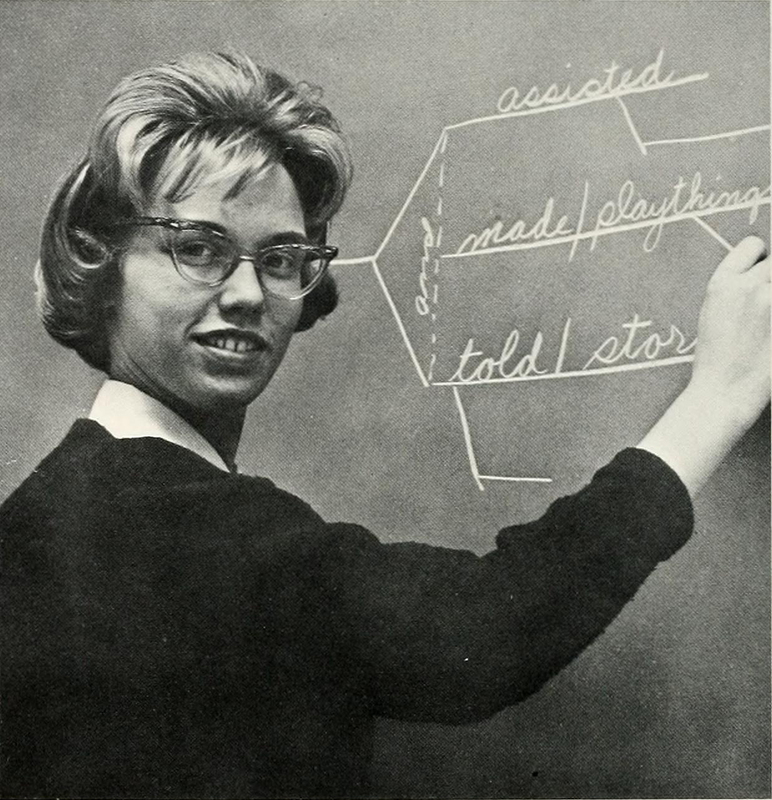 From Eastern Kentucky State College's 1965 yearbook. Reblog if you have assisted, made playthings, and told stories. "I walked in fear and dread." 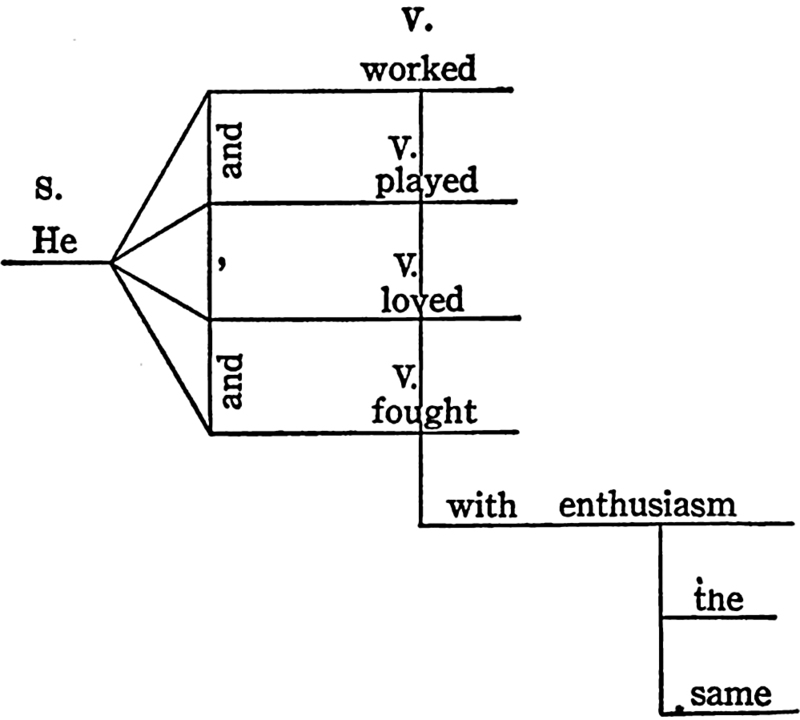 From Sentence Analysis by Diagram by Henry Copp Edgar, 1915. 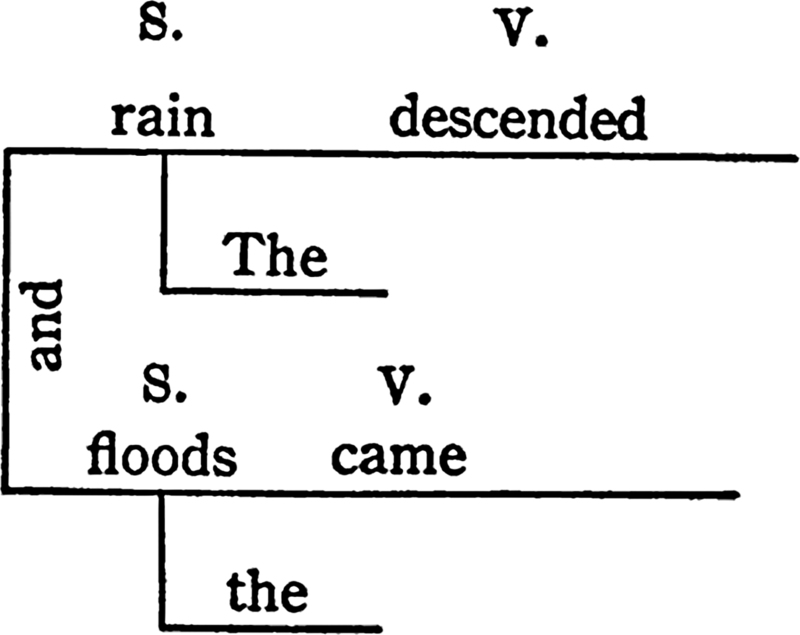 "The rain descended, and the floods came." 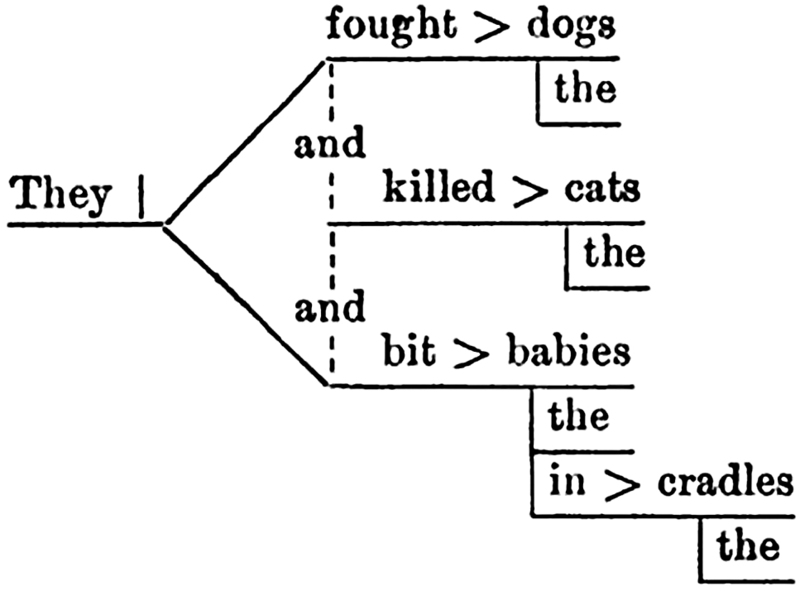 From Sentence Analysis by Diagram by Henry Copp Edgar, 1915. 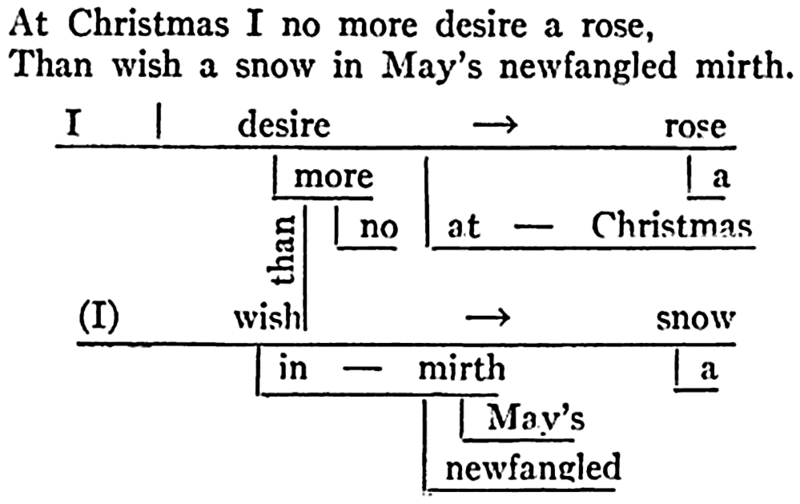 From Hoenshel's Advanced Grammar, 1899. From Modern English, Book 2 by Henry Pendexter Emerson, 1905. "Heaven [from all creatures], hides the book of fate." 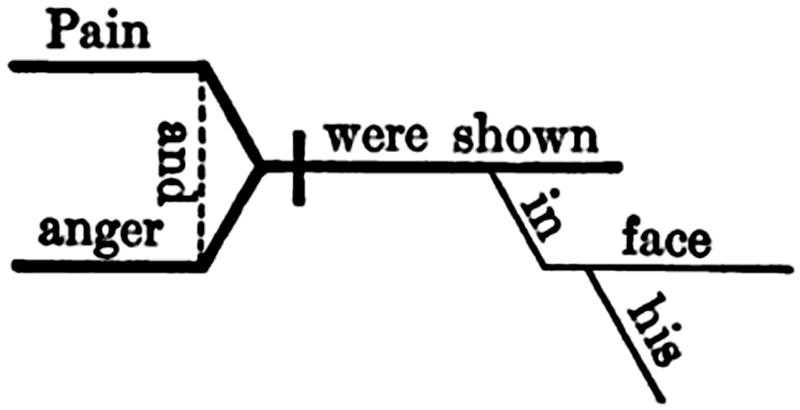 From A Brief English Grammar with Illustrations and Diagrams by Stephen Watkins Clark, 1876. 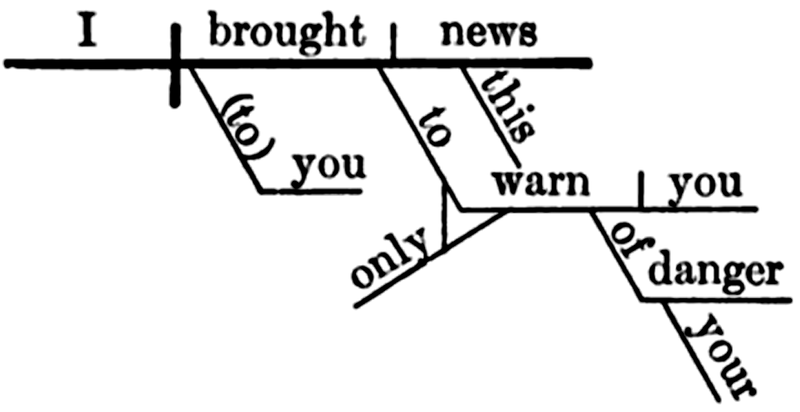 From The Elements of English Grammar by George Philip Krapp, 1908. From Reminiscences of School Life, and Hints on Teaching by Fanny Jackson Coppin, 1913. 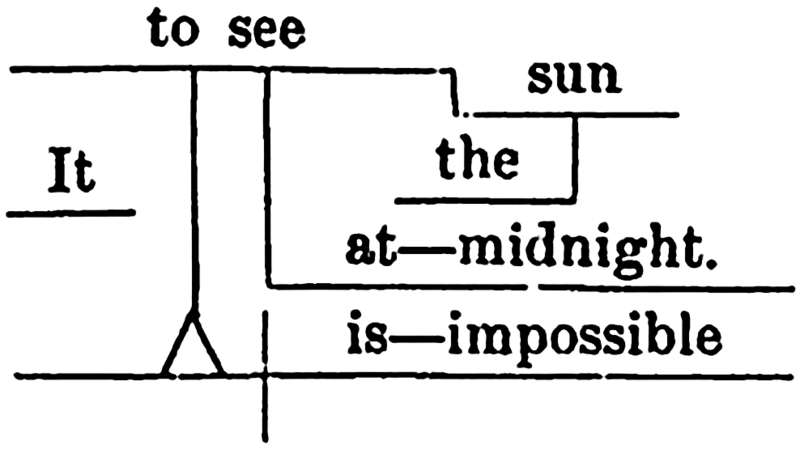 From English Lessons Book Two by the California State Text-Book Committee, 1903. 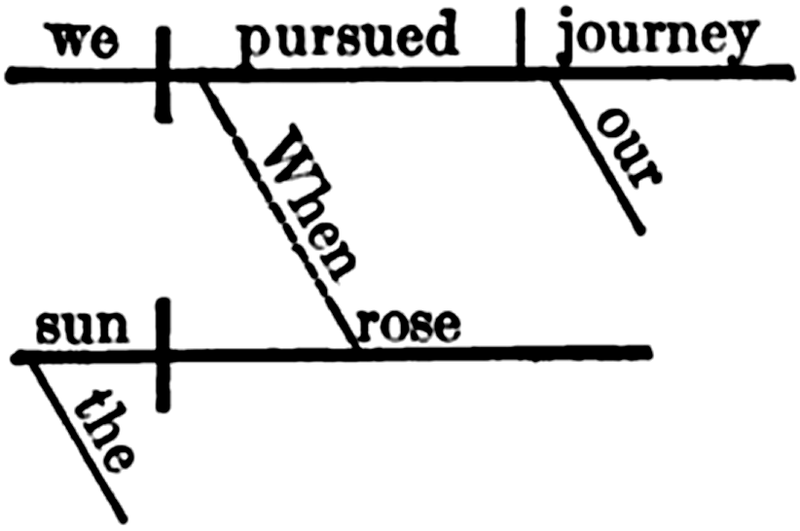 From English Grammar by the California State Board of Education, 1888. 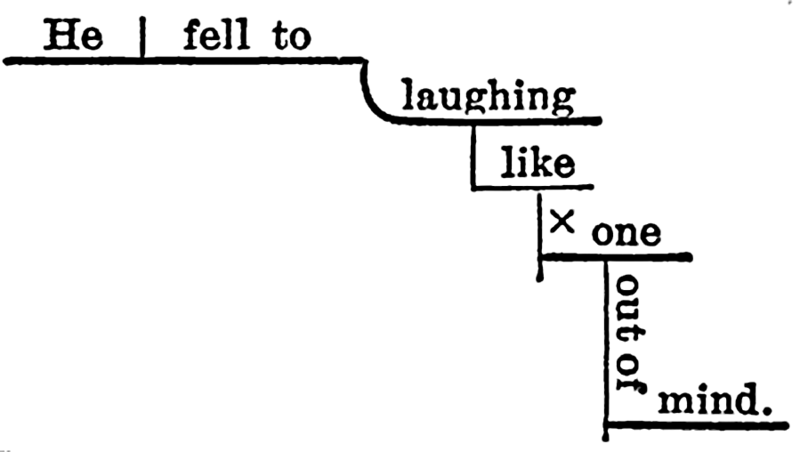 AskThePessimist quips: "What Chomsky was afraid to reveal: The structural grammar of the story of your life." 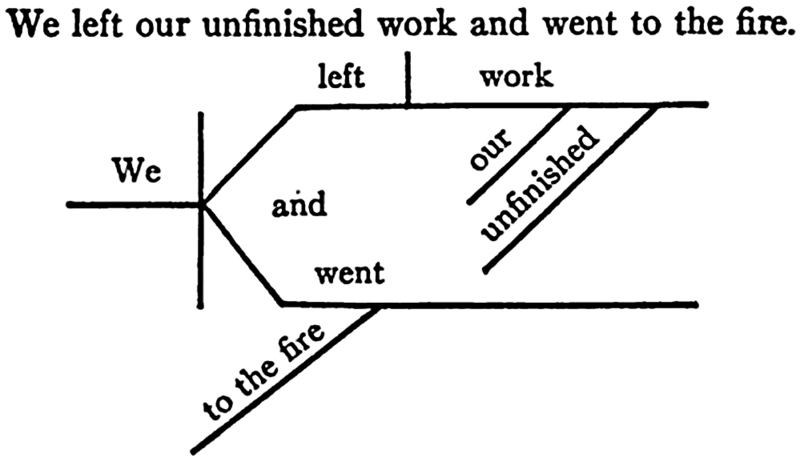 From Grammatical Diagrams and Analyses by Frank P. Adams, 1886.